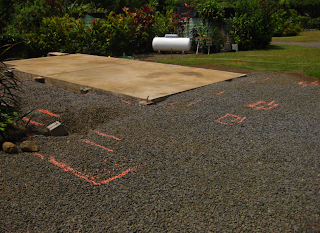 Our contractor and excavator stopped by yesterday to map out the new foundation. We are adding a lot more concrete than I thought... not sure how I feel about that.... but hey... things are moving along.... and that's always good. 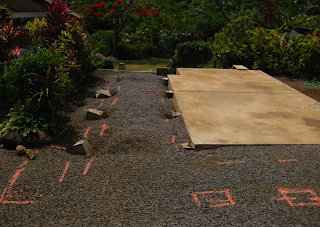 The excavation starts Monday and should go through Tuesday. 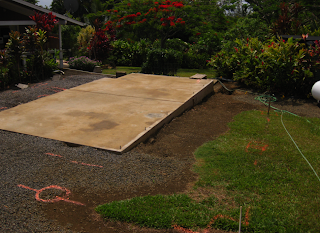 After that... frame the foundation for the mason and lay the plumbing and electrical. I don't know how you guys are doing all this work in this murderous heat! I hope for your sake the trades come back soon! trades were nice the last few days, but today...YIKES.